Want to support our veterans and their families by making an Illinois car donation? With an estimate of 699,522 retired troops in the state, it’s not surprising that the government can’t be able to give each one of them the assistance they need after their service. Thankfully, there are car donations in Illinois that can fill the gap for our military men and women who have risked their lives for our country. Too many of our veterans struggle to adapt to civilian life, believe it or not. They have a hard time finding employment, thus ending up without anything to sustain themselves and family members. Some are still recovering from the traumatic events that they’ve witnessed or experienced abroad. After all those blood, sweat, and tears our troops have shed for our country, let this be the time for us to give them the credit they deserve. By taking part in our Illinois car donation program, you’re already making a difference in the lives of our servicemen and women. Don’t know where to donate cars in Illinois yet? Work with us! When you donate a car in Illinois to Veteran Car Donations, you enable us to support our partner military-oriented nonprofits. Your donated minivan or motorcycle can help with the funding of programs such as grief counseling, adapted housing, vocational training, and other support services that can get our troops back on their feet. Who knew that a simple act of making an Illinois car donation can bring about such a big impact to the lives of our nation’s heroes? Supporting our heroes can also make you one, which is definitely something to be proud of. When making an Illinois car donation with us, we make sure that you go through a process that’s hassle-free. By that, we mean that there’s no need for you to worry about handling the paperwork or by looking for a cheap tow truck service. We have it all taken care of. Contact us. You can fill out the form found on this page or you can call us at 877-594-8522. All we need from you is the make and model of your vehicle. A tow truck arrives at your place and time of your convenience. You don’t have to worry about the cost at all. Everything’s free! We auction your vehicle and the generated funds go straight to veteran nonprofits. We send you a tax receipt a few days later. You have the freedom to cancel your car’s insurance and registration. With a quick process like this, there’s no reason for you not to donate to our Illinois car donation program. 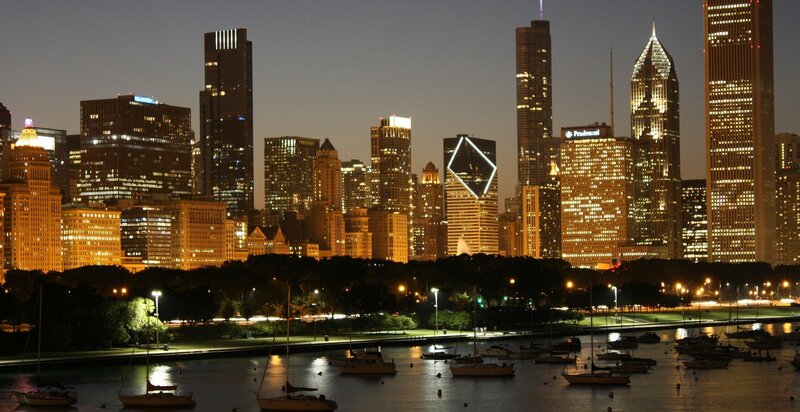 With 102 counties and an approximate of 12,801,539 residents, Illinois is the 5th most populous state in the country. The state’s name was actually derived from the native American word “Illiniwek”, which means “best people”. Most popularly known as the Prairie State, Illinois has been given a few other nicknames, including the Land of Lincoln, the Corn State, and the Garden of the West. The state of Illinois has a lot to be proud of, from it being the childhood home of former president Ronald Reagan, to being the first state to ratify the 13th amendment to the constitution abolishing slavery, to having the highest number of personalized license plates. We wouldn’t be having a lot of exceptional things right now if it weren’t for the Prairie State and its cities. Did you know that Chicago introduced the first ever aquarium? Or that it is home to the world’s first Skyscraper? The Nabisco factory, considered as the world’s largest bakery at 1,800,000 square feet, is also one of the city’s pride. Another city the Prairie State can brag about is Des Plaines, the birthplace of McDonalds. The largest man-made lake in the world is also found within the state, specifically in Carlyle. Thanks to Evanston, we get to experience the sweet and heavenly taste of ice cream sundae. As for the magnificent spots in Illinois, you might not want to miss the Cahokia Mounds, which is said to be the largest prehistoric Indian settlement. For those who want to relax in a peaceful and serene environment, Anderson Japanese Gardens is the go-to destination. Surrounded by ponds, waterfalls, streams rock formations, the Japanese-inspired garden sure spells tranquility. Huge fan of art and culture? Try visiting the Art Institute of Chicago. Here you can find different paintings and sculptures, all from different periods. If you’re an animal lover, be sure to visit the Lincoln Park Zoo, which is one of the major free zoos in the country. Feeling uncertain if we’ll take your vehicle as donation? Don’t be. We strive to take as many vehicle donations as possible. All that matters is that your donation is actually helping our soldiers. Veteran Car Donations accepts almost all sorts of vehicles. We even take the ones that aren’t currently running, since they can still generate funding for our services and programs. And don’t worry, we have the car towing in our hands. If you want to donate a car in Illinois, it’s only practical that you choose a program which you can also benefit from. That’s why Veteran Car Donations sees to it that your wants and needs are also met. You get a sense of fulfillment knowing that you’ve helped our vets and their families. We make the donation process convenient and stress-free. We haul your car away at a place and time of your preference, and it’s totally free! You save a lot of money by cancelling your car’s registration, maintenance, and insurance. You don’t have to go through the inconvenience of selling and advertising your car. Do you think now is the time for you to serve the people who once served our country? Have you decided to donate to our Illinois car donation program? Contact us today and give us a ring at 877-594-5822.